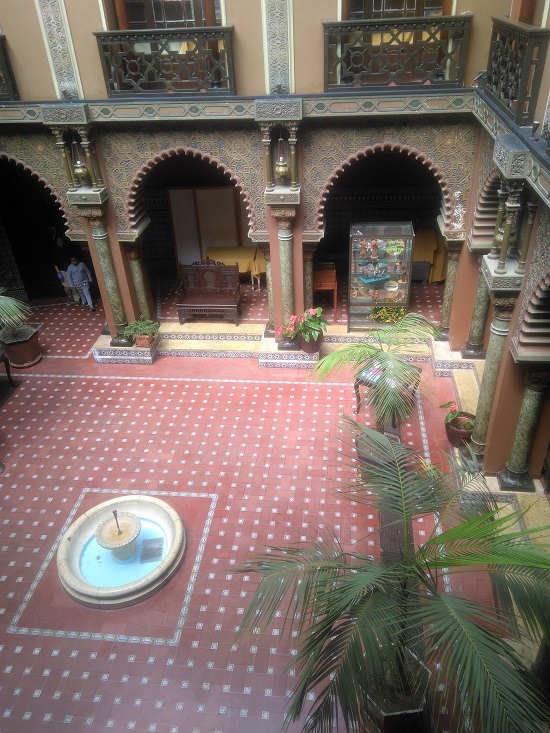 A few minutes walk from Rossio Square, behind a small door in a popular tourist street in Lisbon, Rua das Portas de Santo Antão, there’s Casa do Alentejo: suddenly you step in an amazing Moorish palace, with an impressive courtyard! ‘Casa do Alentejo’ was created 85 years ago, as a purpose to be a meeting place for people from Portugal’s historical province Alentejo (além Tejo means beyond the Tagus) and to cultivate its unique culture. 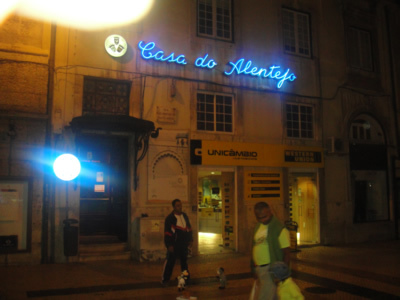 At that time many people from this region left home in search for a better life in Lisbon. The palace dates from the last quarter of the 17th C., but its current appearance is a result of considerable alterations carried out in 1918. Nowadays here’s the headquarters of the association of the Alentejo people. Today many activities take place here: on Saturdays the ‘Alentejo afternoons’ (tardes Alentejanas), with choral groups. On Sunday, the dancing begins at 3:30 pm. Mostly elderley people come here to socialize. There’s also a library and a handicraft shop of typical products of Alentejo (downstairs). 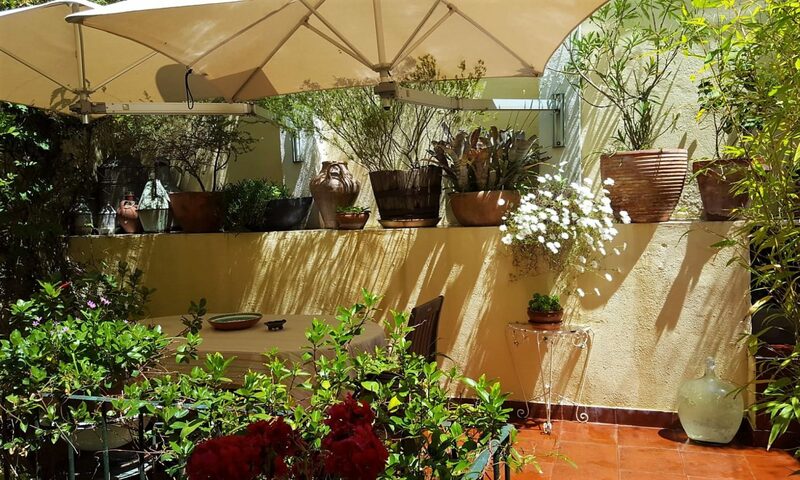 The dining rooms are picturesque, with open fireplaces and decorated with beautiful tiles (azulejos). The azulejo is a form of Portuguese painted, tin-glazed, ceramic tilework. 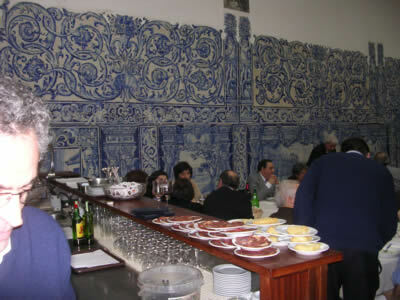 Tiles have become a typical aspect of Portuguese culture. Azulejo comes from the Arabic word az-zulayj, meaning polished stone. Wherever you go in Portugal, azulejos are to be found inside and outside cafes, churches, palaces, ordinary houses and even ceilings, train- or subway stations. 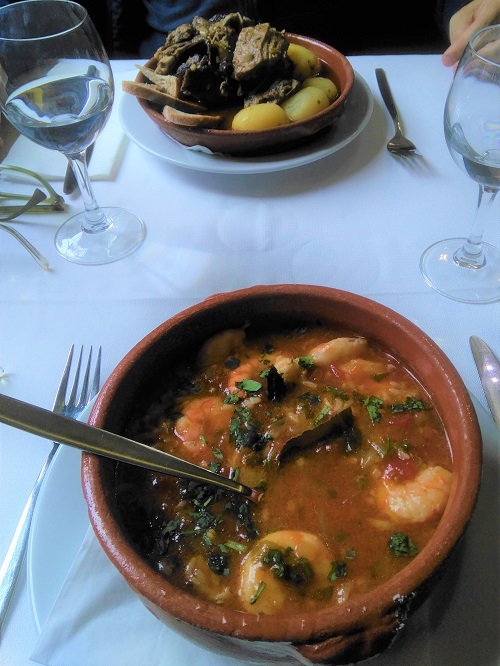 Our choice for lunch: ensopado de borrego (lamb stew): 13 €, arroz de gambas (prawn and rice) 15 €. Small bottle of wine Monte de Vaqueira: 6 €. 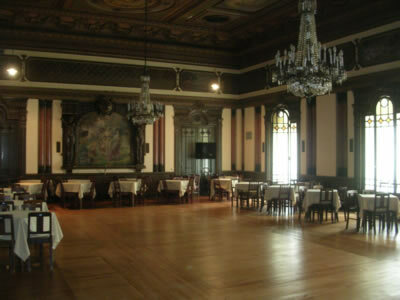 Restaurant Casa do Alentejo, Rua das Portas de Santo Antão 58. Opening hours: 12pm to 3pm and 7pm to 11pm every day. 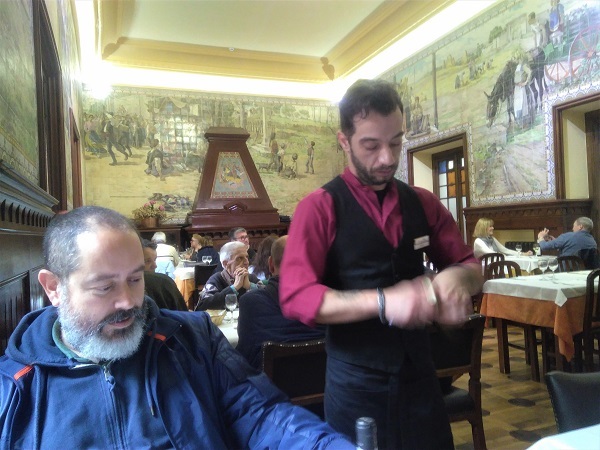 Restaurant Casa do Alentejo is a wonderful exception in this street: no tourist trap! More…. 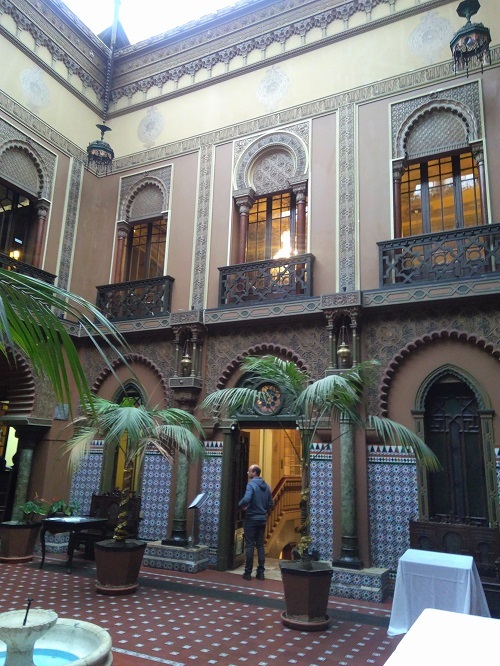 Sim, desejo expoer na Casa do Alentejo em Lisboa. Eu sou pintor espanhol que tenho 20 exposiçoes de pintura pela tuda España. Meu estilo e expresionista abstracto e sou autodidacta. Gostaria muito uma resposta. Muito obrigado. Can we make a diner reservation for saterday april 18 for 3 persons.